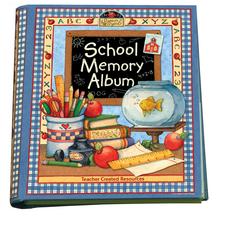 This beautiful keepsake album is perfect for your most treasured school memories. Featuring Susan Winget's delightful illustrations, this spiral-bound book provides plenty of space for class information, class and staff photos, fond memories, and favorite things. Five two-sided pockets are included to hold special mementos.